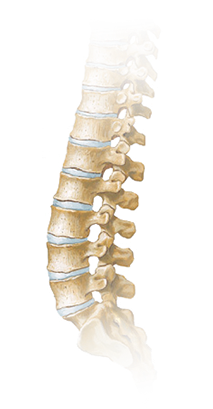 Stryker offers one of the most comprehensive and diverse product portfolios for the treatment of degenerative and complex spinal disorders. 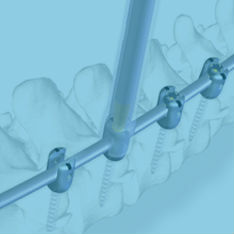 The fixation portfolio encompasses a variety of technologies for minimally invasive and traditional surgical techniques. See IFU for full indications. 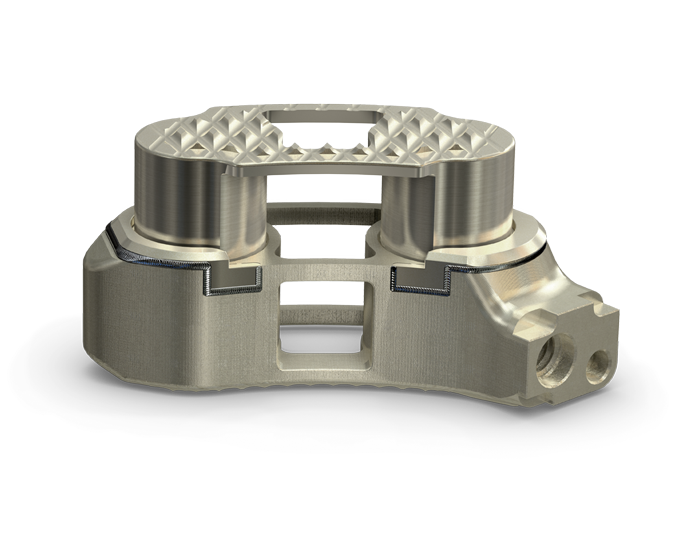 ES2 is a minimally invasive fixation system focused on Efficiency, Simplicity, and Security. 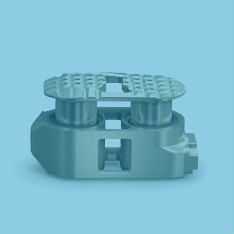 UniVise is the only device currently on the market that allows for midline insertion and locking. 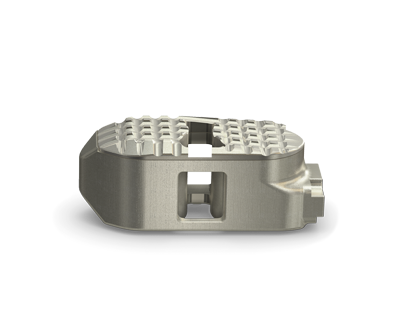 The implant features anatomically shaped plates and each plate is designed with a radial spike pattern for optimized positioning and grip. 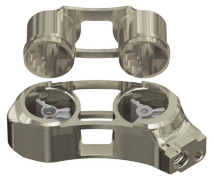 This comprehensive system of posterior and anterior non cervical implants and instruments has been designed for use with a 4.5mm-diameter rod to address complex spinal pathologies. 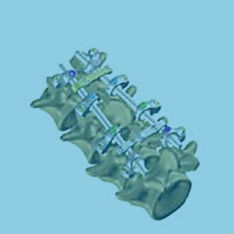 The Radius™ Spinal System incorporates a number of engineering features that make the system unique. Trio+ builds on the clinical success* of our Xia, SR90D and Opus productS for the treatment of degenerative lumbar pathologies. TRADEMARKS: Techtonix, XIA, Univise, ES2, Radius and TRIO are Trademarks of Stryker Corp. The Stryker Navigation System II has the performance specifications and accessories you would expect from a top of the line surgical navigation system. The system offers a wide variety of application and configuration options, plus additional image-import capability and microscope integration. See IFU for full indications. 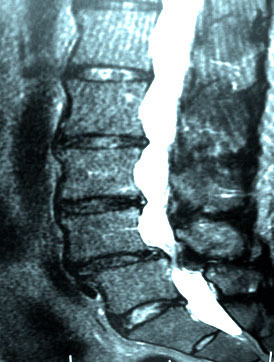 The image-based technology used in spinal surgery utilizes scans of the patient's anatomy and instruments that are tracked by the Navigation System's camera. 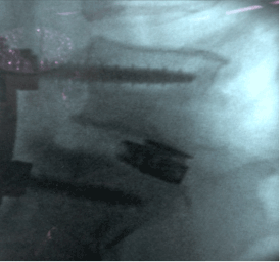 Navigation can help surgeons to guide their instruments for more precise screw placement, assist in advanced MIS procedures, and reduce fluoro exposure. 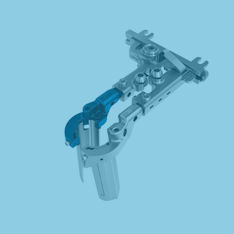 Stryker offers powered screw insertion for the insertion of screws, these instruments are designed to work with the complete line of fixation options. 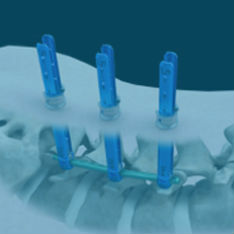 Designed to provide access and visibility to the lumbar spine area for posterior approaches. 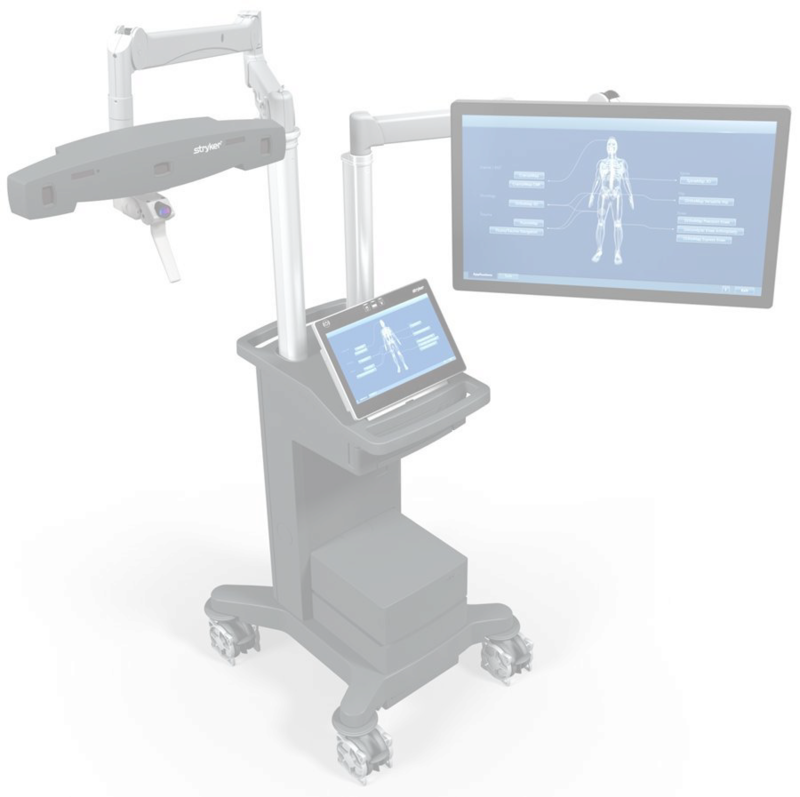 Stryker has a range of performance tools to assist surgeons with the right balance of access and visibility while reducing the impact on the patient wherever possible. See IFU for full indications. 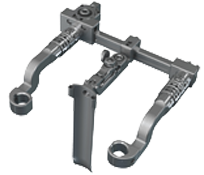 The Pedicle Based Retractor features a streamlined design that integrates with Stryker’s ES2 bladed screw system for an efficient TLIF. 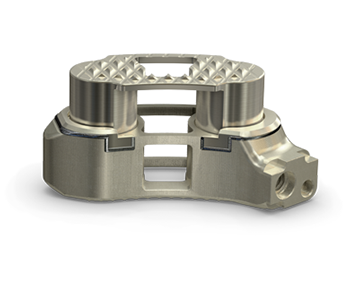 It allows for surgeon-controlled screw-based distraction, retraction, and compression, and offers a less invasive way to deliver AccuLIF. 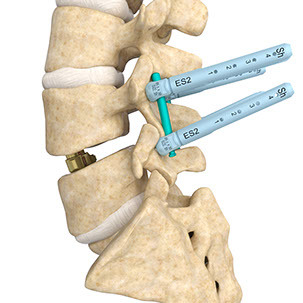 LITe Decompression is a comprehensive access and instrumentation system designed for a systematic approach to minimally invasive spine procedures. 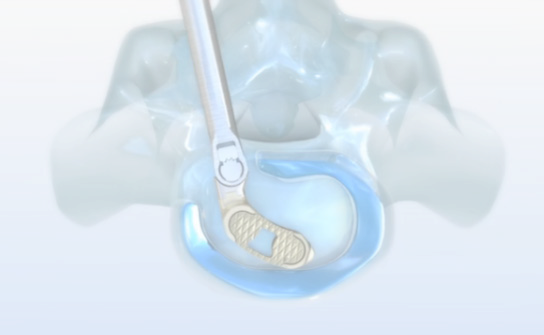 The Phantom Retractor System is a minimally invasive posterior bladed retractor compatable with all of Stryker's interbody options for PLIF and TLIF procedures. 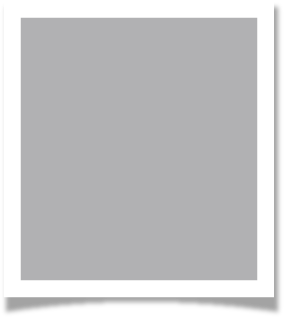 ARIA is a lateral approach system including access, instrumentation, and interbody. The oval design of Luxor reduces the medial/lateral muscle retraction seen in some circular retractors, while providing more working space at the level of the incision. 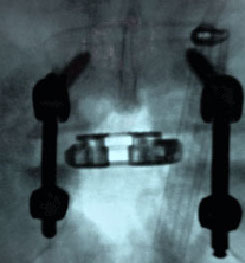 TRADEMARKS: ARIA, Luxor, Phantom and LITe are trademarks of Stryker Corp.
Stryker interbody devices include a full range of sizes for all posterior lumbar interbody fusion procedures including the latest steerable, expandable interbody technology. See IFU for full indications. 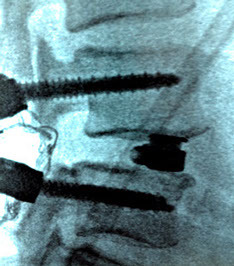 Steerable, minimally invasive device intended for use with supplemental spinal fixation expands in-situ with distraction force for precise fit, giving the surgeon control. 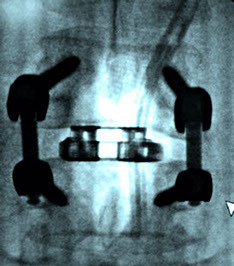 Fixed size Posterior lumbar interbody fusion device made from PEEK. 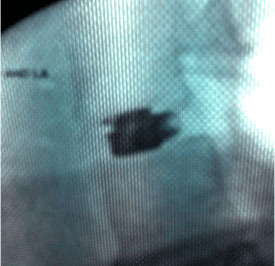 The implant is designed for oblique TLIF and PLIF procedures. 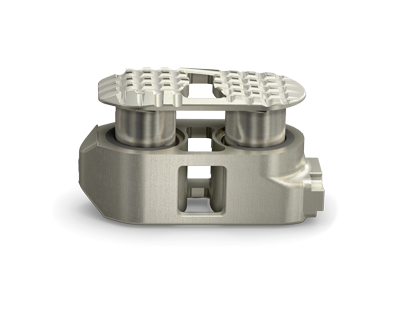 Steerable TLIF PEEK spacer system designed to allow for controlled and optimal placement in the anterior midline portion of the disc space. 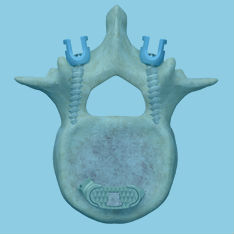 Posterior lumbar interbody fusion device made from PEEK. 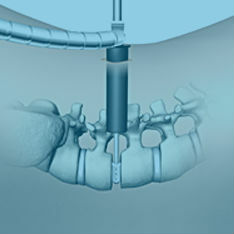 The implant is designed for oblique TLIF and PLIF procedures. 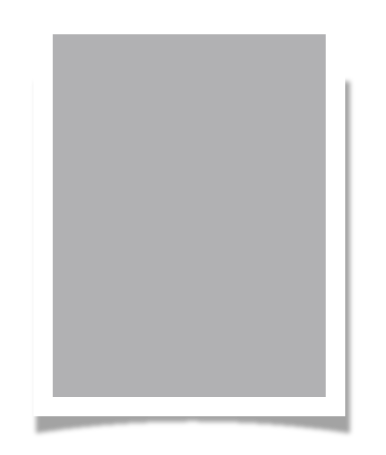 Features a rounded nose. 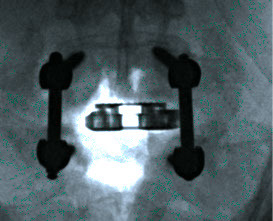 Posterior lumbar interbody spacer implant made from PEEK. The device is shaped like a banana cage and designed to sit on the epohpyseal ring. TRADEMARKS: AccuLIF, CoAlign, AVS, AVS UniLIF, UniLIF and AVS Navigator are Trademarks of Stryker Corp.
Low profile design with small 6mm starting height. 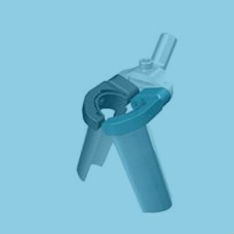 One instrument for insertion and expansion. 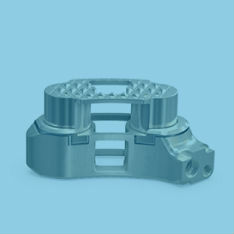 Designed to help preserve endplate structural integrity and minimize impaction forces during insertion. 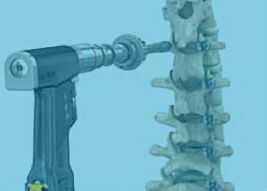 Designed to help reduce nerve root retraction. 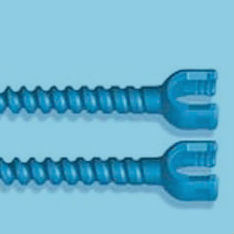 Useful for minimally invasive approaches including tubular procedures. Designed to help maximize the disc space height and restore lordosis while helping to protect the neural elements. AccuLIF starts with a low profile, small starting height and expands hydraulically in 1mm increments. 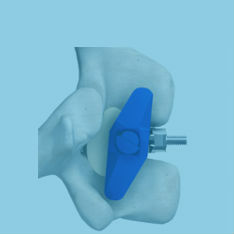 Provides 2000 psi of distraction force to fill the disc space with a mechanism that provides both tactile and visual feedback during expansion and is designed to prevent violation of the endplates. AccuLIF uses internal spring-loaded mechanical staircases to lock into a monolithic structure. 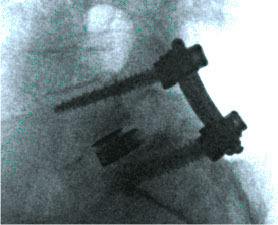 In the event that repositioning is necessary, the implant can be collapsed back to its starting height and re-expanded once desired placement is achieved. 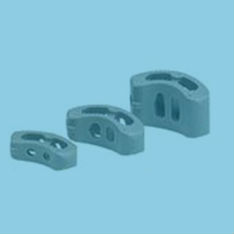 Spans endplate-to-endplate to aid in fusion. 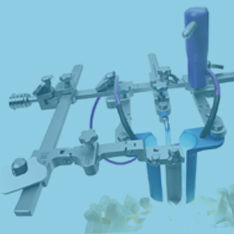 Specialized Instrumentation aids in packing autogenous bone graft post expansion. 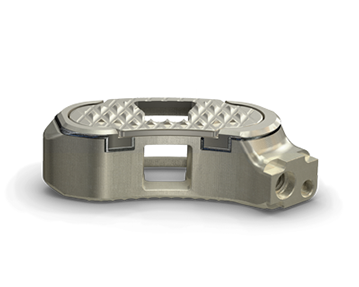 Maximizes volume for bone graft materials with apposition of graft material to endplate for fusion through the cage as well as around the cage. 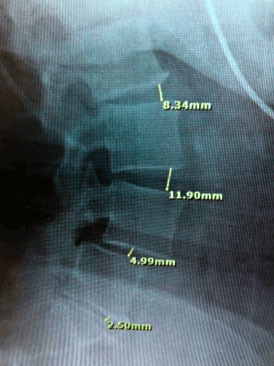 Compression of a posterior fixation device can be used to create segmental lordosis of the segment fused. 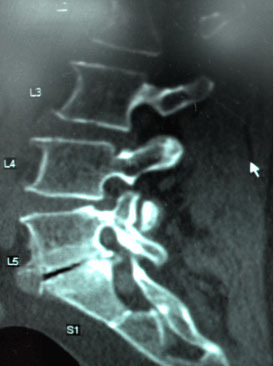 A tall, anteriorly placed interbody device provides a fulcrum for creating segmental lordosis while preserving foraminal height. 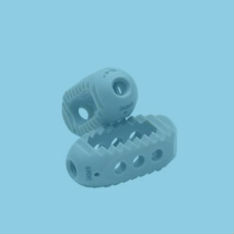 Crescent-shaped implants designed with serrations on the footplates for multidirectional fixation and increased surface area for endplate contact. 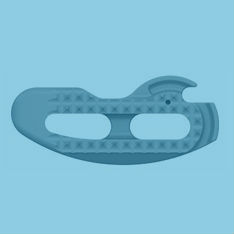 Ergonomically shaped anterior edges to facilitate cage insertion with preservation of endplates and flat posterior edges. 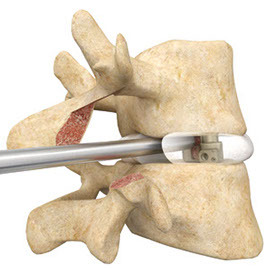 Articulating inserter that allows for a 50° intradiscal turn that optimizes placement within the disc space. 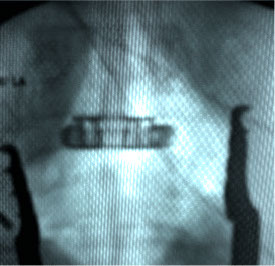 Large central opening to permit fusion through the interbody cage. 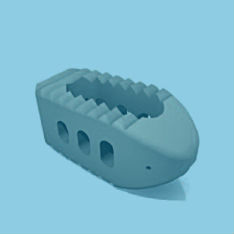 Rectangular-shaped implants designed with serrations on the footplates for multidirectional fixation and maximized surface area for endplate contact. 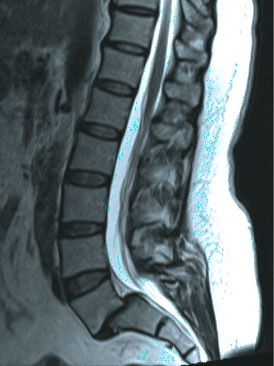 8° shape for restoration of segmental lordosis from a straight or oblique approach. Stryker offers one of the most comprehensive and diverse product portfolios for the treatment of degenerative and complex spinal disorders. 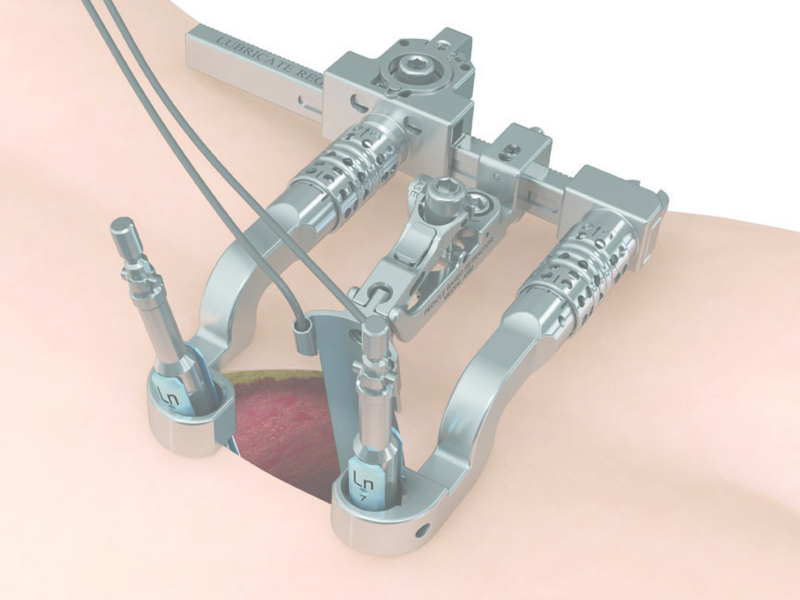 The fixation portfolio encompasses a variety of technologies for minimally invasive and traditional surgical techniques. 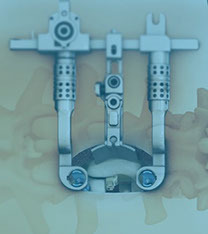 Stryker interbody devices, including the latest steerable, expandable interbody technology, offer a full range of heights, footprints, and lordotic angles for all posterior lumbar interbody fusion procedures. Stryker NAV3i has the performance specifications and accessories you would expect from a top of the line surgical navigation system. The system offers a wide variety of application and configuration options, plus additional image-import capability and microscope integration. A surgeon must always rely on his or her own professional clinical judgment when deciding whether to use a particular product when treating a particular patient. 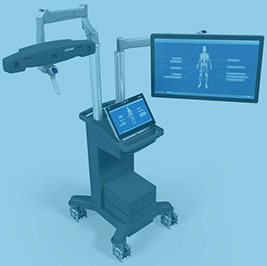 Stryker does not dispense medical advice and recommends that surgeons be trained in the use of any particular product before using it in surgery. 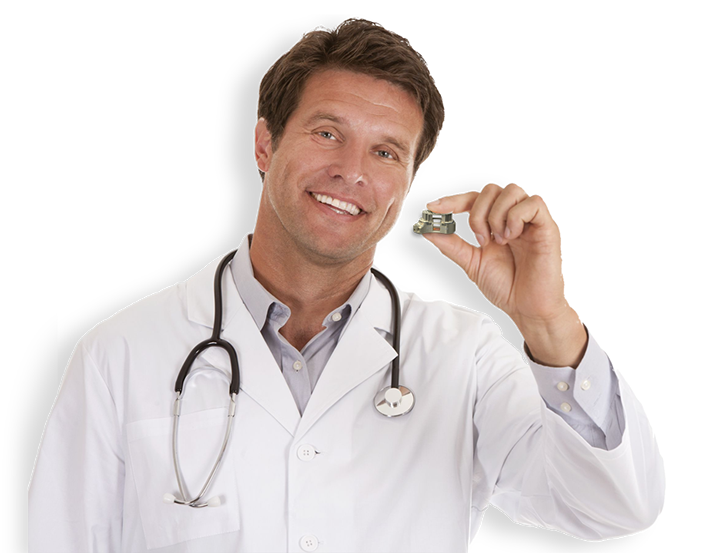 The information presented is intended to demonstrate the breadth of Stryker product offerings. 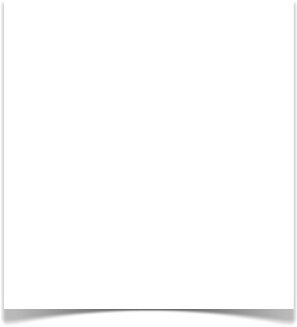 A surgeon must always refer to the package insert, product label, and/or instructions for use before using any Stryker product. Products may not be available in all markets because product availability is subject to the regulatory and/or medical practices in individual markets. Please contact your Stryker representative if you have questions about the availability of Stryker products in your area. 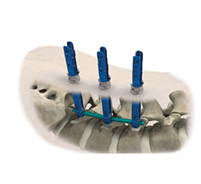 Stryker’s LITe Platform offers a variety of less invasive disc preparation instruments, and tubular, dynamic, and pedicle based access systems through which to perform less invasive posterior procedures in the lumbar spine.